What application springs to mind when you think of creating visual aids to accompany your business presentation? For most people, it’s Microsoft’s PowerPoint. But that’s certainly not the only game in town. Plenty of other tools and services are cooler, faster, easier to use, and—in almost all cases—less expensive. We’ve rounded up five compelling alternatives to PowerPoint, including Web apps that let you dispense with installing software, and mobile apps that allow for presentation-building (and presenting) on the go. Not included are well-known options such as Google Docs, OpenOffice, and Zoho Show, all of which offer basic slide-builders that can easily pinch-hit for PowerPoint and don’t cost a dime. Those tools, however, haven’t changed much in recent years. Our goal is to showcase presentation options that will help you get your point across a little differently, so your audience’s eyes don’t glaze over in the middle of your pitch. And if your business saves a bit of cash in the process, all the better! Haiku Deck for iPad is designed to turn your ideas into beautiful presentations in about the time it takes to ride the train to work. The secret? It gives you built-in access to a wealth of free art. Haiku Deck provides excellent tools for finding free art to illustrate your business presentations. Indeed, half the battle in crafting attractive slides is finding appropriate artwork to go with the text. Haiku Deck lets you add your own (from your iOS device’s camera roll or from any other image library), but it can also search millions of free, Creative Commons-licensed images based on the words you’ve chosen for that slide. Let’s say your slide contains the word profits and the phrase 3D printing: You’ll quickly get a list of thumbnails matching those terms. Tap one you like, and presto! You have the perfect background for your slide. Alternatively, you can choose a solid background color or insert your choice of a bar, pie, or numeric chart (with manually added labels and numbers). Ultimately, Haiku Deck is all about whipping together attractive slides, and it’s great for that task. When you’re done, you can share your deck via Facebook, Twitter, or email. You can also grab embed code for your blog or website. On top of that, Haiku Deck lets you export your presentation for further tweaking in, say, PowerPoint or Apple’s Keynote. The app doesn’t support sound, transitions, or animations, though, and you can’t manually place your text or change the background color for charts. In fact, trying to make any major slide changes often causes you to lose the work you’ve already done. A save option is desperately needed here. That said, once you figure out Haiku Deck’s mechanics, you’ll find it a great tool for building short, simple, and attractive slide decks on the run. And you can’t beat the price: It’s free. If you want extra themes, they’re available for purchase in-app. If you’re looking for a more traditional alternative to PowerPoint, one that runs in Windows and closely emulates the standard slideshow-building process, Kingsoft offers a compelling option in Presentation Free 2013. Available separately or as part of the Kingsoft Office Free 2013 suite, this program should satisfy most of your slide-deck needs. If you’re already familiar with PowerPoint, you’ll have a huge head start on Presentation Free: Its default interface borrows heavily from Microsoft’s Ribbon, though it has a second interface option that closely resembles older versions of PowerPoint. It’s an easy product to learn either way. Whichever interface you choose, Presentation Free has one amenable feature that still eludes PowerPoint: document tabs that make switching between multiple open presentations much easier. 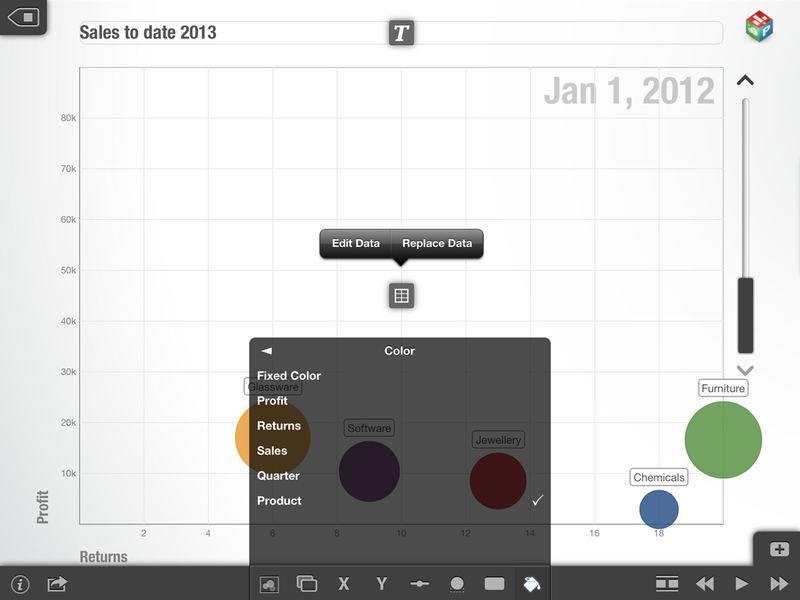 Presentation Free 2013 looks and works very much like Microsoft's PowerPoint, but you don't need to buy an entire productivity suite to get it. As its name implies, it's free! Kingsoft supplies a generous library of presentation templates that you can use as a jumping-off point, along with a nice selection of layouts, color schemes, animations, and the like. You can add a wealth of elements to your slides, everything from sounds and background music to movies and Flash animations. Perhaps of greatest importance, Presentation Free can open existing PowerPoint presentations, including those saved in the newer .pptx format. It can save only to the older .ppt format, or to Kingsoft’s native .dps format. You also have the option of converting presentation files to PDFs. 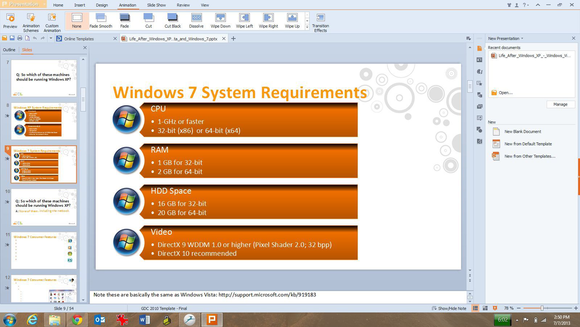 Presentation Free 2013 is without question the prettiest PowerPoint clone you can get, and save for VBA (Visual Basic for Applications) support, the free version is every bit as capable as its commercial counterpart, Office Suite Pro 2013 (which also includes word processing and spreadsheet programs). What is a presentation if not an audiovisual story? That’s the idea behind the iPad app Perspective. It’s a powerful tool, though it does come with a learning curve—and a price tag. Building a story works the same as building a presentation: You create individual slides (known here as scenes) and populate them with data. For each scene, Perspective gives you a choice of image/text, diagram, various charts (bar, bubble, line, and the like), and PDF. You can also import a wealth of file types, including locally stored Excel and CSV files, the contents of the clipboard, or anything you have stored in Google Drive. These needn’t be static additions, either: Perspective’s bar and bubble charts are “motion” charts, meaning that you can animate the elements to better highlight data such as sales forecasts and market trends. If you’re short on artwork, the app’s handy Web-search option makes it easy to find online images for your story. And for anyone serious about presenting data, Perspective supports the creation of Sankey diagrams (a specialized kind of flow diagram), though this feature requires a separate in-app purchase ($100). Pixxa Perspective Pro costs between $50 and $100 depending on the features you want, but it allows you to create compelling presentations in the office or on the go. Alas, the app doesn’t let you embed videos or webpages, and you can’t add audio elements such as music or sound effects. You can, however, record a voice-over after your story is complete and ready for presenting. Speaking of which, you can share a snapshot from your story via email or Twitter, and a recently added Airshow option lets you share stories directly from your iPad to up to ten other iPads. It may take you some time to learn how to use Perspective’s various tools, especially for arranging elements in a scene and tweaking the data in motion charts. But it’s not unlike learning PowerPoint: Once you know what you need to do, presentation-building goes pretty quickly. Although the Perspective app is initially free, you can use it to create only one story—think of it as an app test drive. To unlock all the features and create unlimited stories, you must upgrade to Perspective Pro, which costs $50. That’s a little steep relative to some of the other tools here, but Perspective offers robust data-visualization options. And since it’s entirely mobile, you needn’t stay tied to a PC. It works like this: You assemble various snippets of information—text, graphics, videos, and the like—onto the virtual equivalent of a giant, themed poster board. (Think PowerPoint slides splayed out on a single surface.) Instead of flipping from one page to the next, PowerPoint-style, Prezi flies around that poster board, zooming in to one area for viewing, then up, out, and onto the next. 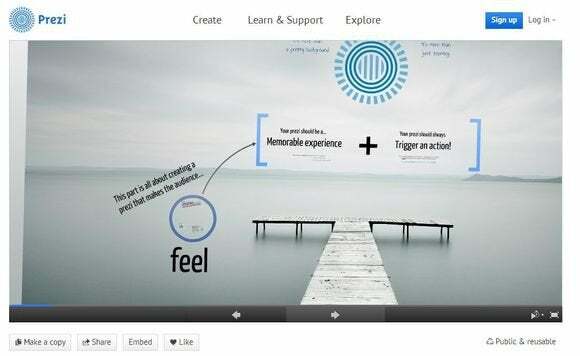 Prezi neatly flips the slideshow concept on its head. All of this happens with a dazzling, animated flow. It looks like something a professional effects shop would take weeks and thousands of dollars to create. But it’s really just a Prezi template stocked with your data and some extra infographics. 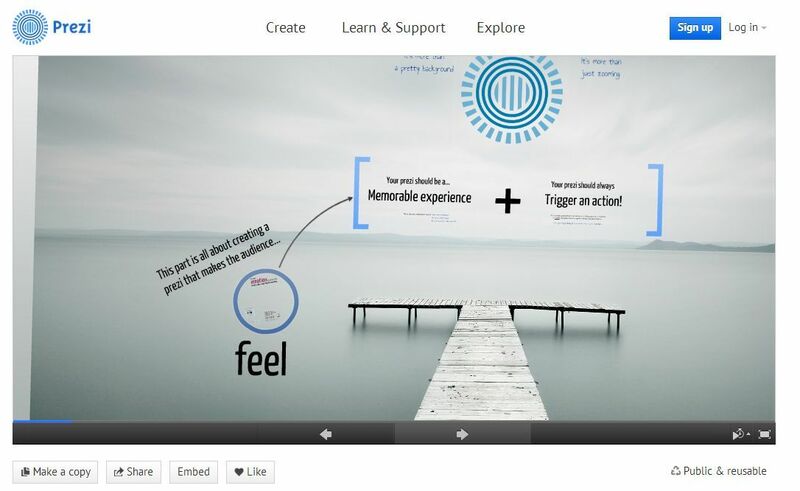 Earlier this year, Prezi added a long-awaited new feature: sound. You can now include background music that plays during the presentation, or even add voice-overs or sound effects to “path steps” (the transitions between areas of the scene). That might not seem like a huge deal, but Prezi delivers such a smooth, cinematic experience, it almost begs to have a soundtrack. Prezi has also added a creator app for iPad and a viewer for iPhone, meaning that you can build and/or make your pitches on the run. They’re free, as is Prezi Basic. Upgrade options start at $59 per year. This is one of the coolest PowerPoint alternatives I’ve seen, period. If you’re as sick of creating static slide decks as people are of seeing them, you should give Prezi a try. If Microsoft ever decided to release PowerPoint for Android, it would probably have a lot in common with SoftMaker Presentations Mobile. This powerful app belies its $5 price tag, allowing you to not only create slide decks from scratch right on your Android device, but also to import and save your existing .ppt and .pptx files. Who says you need a PC to make compelling presentations? With SoftMaker Presentations Mobile, all you need is an Android device. To be fair, Presentations Mobile offers little of the mobile-presentations finesse of Haiku Deck or Pixxa Perspective. It is, at best, a rudimentary PowerPoint clone, allowing for the creation of only the most basic slides. Even something as simple as changing a slide’s background is elusive within the app’s toolbar system, which consists entirely of unlabeled icons. In our tests, Presentations Mobile did a great job importing a 54-slide PowerPoint file from a Google Drive account to a Barnes & Noble Nook HD. The process went slowly, however, requiring several minutes to download and open the slideshow. But it played back perfectly, transitions and all. Ultimately, this app isn’t so much about replacing PowerPoint as it is about making PowerPoint mobile, with simple tools for building basic slides and robust tools for accessing your existing presentations on the go. For a mere $5, it’s hard to beat. The only experience more painful than sitting through a boring presentation is giving a boring presentation. If a concept is worth presenting, it’s worth presenting effectively. Take the “no boring presentations” pledge: Invest a little time, give these programs a try, and create a slideshow that will capture your audience’s attention so that you can persuade them to embrace your ideas. It could make all the difference for your business.